So, this year is tough….getting to know students and content across all grade levels is so exciting but always leaves me with so many questions! As much as I use the CCSS as a guide, I go in to every class wondering what students at this grade know, wondering how they talk about it, and wondering how to structure activities to encourage connections. These are all things I took for granted as a 5th grade teacher. Today I went in and did a subtraction number talk with a 3rd grade teacher. I did a string starting with the problem: 23 – 19 and all of the other problems were subtracting a number with a 9 in the ones place. I thought I could possibly get adding up, removal and/or compensation strategies. For this problem and the following two, I got at least 3 or 4 different answers and a lot of strategies, some correct others not. The most common was subtracting tens (20-10 = 10) and then incorrectly subtracting ones (9-3=6) and arriving at 16 as their answer. Correct or not, I absolutely loved their openness to sharing and looking for errors in their thinking, it was fantastic! Their thinking was definitely not anything I could even begin to really string together because they were really all over the place so all I can focus on now is where to go from here? If I flashed the first one, How many did you see? How did you see them? Flash the second one, What changed? What is the difference? <—–(I like this one suggested by the awesome 3rd grade teacher) Can you write an equation to represent the change? I am thinking we could get 20 – 5 = 15 or 15 + 5 = 20. Now on this one, 30 – 11 = 19, I think I may bring up the strategy they used today, 30 – 10 = 20 and 1-0 = 1, leaving us with the answer of 21 and see what they think? I can’t tell if that would be helpful or not?? Would love thoughts. Also, I cannot decide whether to end with a number expression and ask them what the first image looked like and what is different in the second and what the equation would be? Still thinking on this one too. Trying it out tomorrow and will keep you posted, however I couldn’t sign off without one piece of student work that I loved. I left them today with 36 – 19 in two ways if they could. 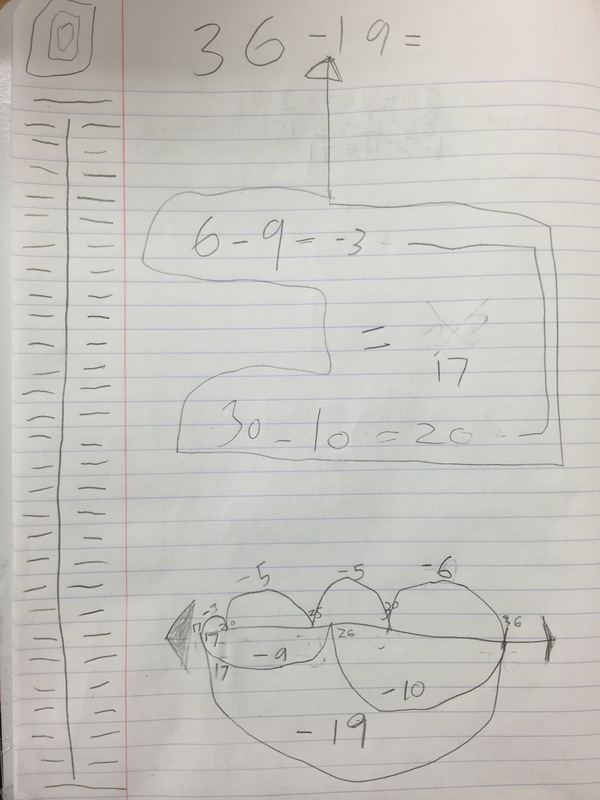 This student originally got 23 (by the means I described above) but then did the number line and arrived at 17. He went back to the first and realized that 20 and -3 gave him 17, not 23. Looking forward to seeing this bunch tomorrow! I like thinking about what might help this group. 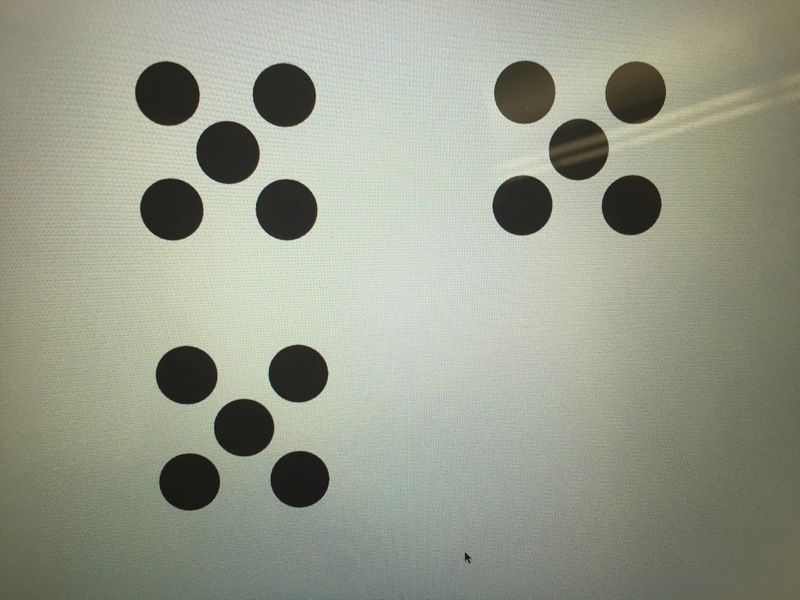 I think your dot visual with the fives, first showing the 20, than the 5 would be good prep for thinking about the dots showing 30 then 11. They might look at them and figure out that the dots don’t show 30 – 10 then 1 – 0. If they don’t, you could ask them to think about someone who once looked at these dots and thought about the problem as 30 – 10 and 20 – 1. Then have them discuss whether that makes sense. Or you could present these two sets of equations and have them think about which goes with the dots. I also love the number line work. Are these students at a good point to look at this on a number line? Thanks Nancy! I love the idea of presenting the equations and having them think about which goes with the dots. I would say some are comfortable using removal on number line but maybe not too efficiently. Great post and idea! My 4th grade team and greater learning community are wondering about the vocabulary word “compensation.” Do you use that word with students? We love the strategy, just curious about your explanation/vocabulary with students. Thanks so much!! I definitely used that vocabulary with my 5th grade students and would even use that with 4th. I am just learning about vocabulary differences as I moved down into younger grades. It is interesting to think about when the name of it would get in the way of their explanation if that makes any sense:). For my 5th grade, I really like to make sense of the word, asking what compensate means and how does that work here when we are using this strategy. Same thing with something like the commutative property….”commute” means to go back and forth, how does that definition fit with this what we are doing here? So it doesn’t sound like a brand new word they have to learn, but instead one they can think about. I hope that answered your question and it wasn’t too much rambling by me! This did answer my question and your explanation makes great sense. Thank you for taking time to reply. And thank for sharing your teaching and learning. I enjoy following you and learn a great deal from your sharing. I love that you are working with younger learners now and blogging about it! No always refer educators to your blog!! I’m wondering if they need the step in between. 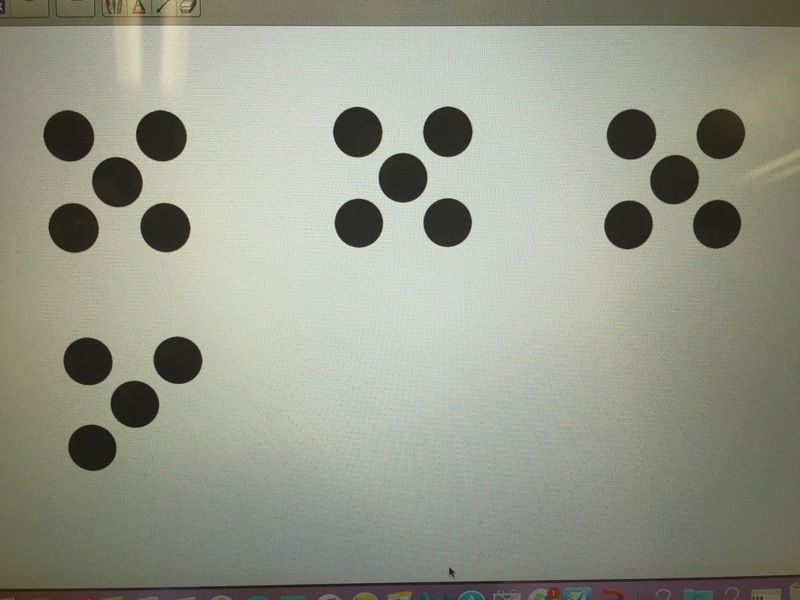 So for, 30-11 =19, you can show the 30 dots. 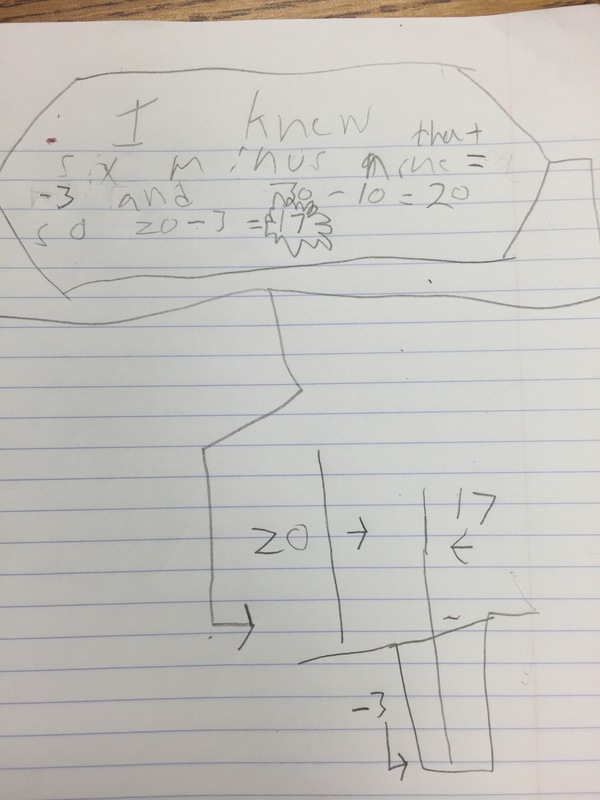 When they say, “first i took away 10”, then record their thinking by modeling those being removed/crossed out. “How many donee have now?” “How many did you just take away?” “Was that enough?” “What do we need to do now?” I just thinks some may need to see that ten removed first to visualize what is left. This may help them see that I can’t do 1-0 because I’ll end up with more than I have right now. Love how you are connecting it to the image and can’t wait to hear how kit goes and to learn from you!! Sorry for all the iPhone typos!!!!! Thanks so much Ashley! It is definitely a learning curve for me! 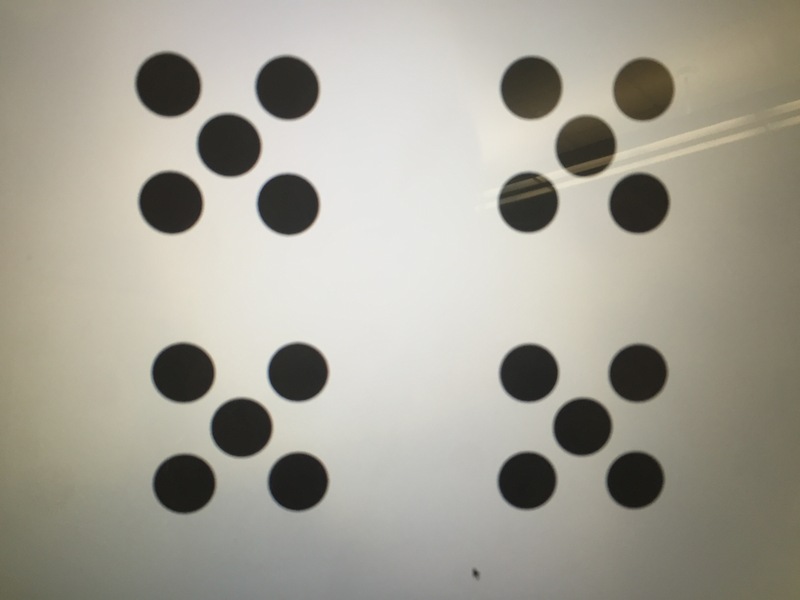 The did great today with “what is the difference” but I found that some were focused on figuring out how many dots were there and not as much on what was missing. I did write up the way they solved it yesterday with the 1-0 and they could explain that that 1 needed to come off, not be added back in, so that was really nice at highlighting that. Still some interesting work to be done here, I will keep you posted and thanks for the advice, your questions were perfect! I’m wondering what would happen if we changed the spatial configuration and used ten frames instead. Would students be able to makes better sense of the numbers and use the structure to think more flexibly about numbers? I say we find out so here’s my task for you (smiling as a I type)….use the same number string with 3 classes in the same grade level. One class get numbers/numerals, the other gets Van de Walle dots, and the last gets ten-frames. Report back! What do we notice? What do we wonder? I can’t notice or wonder anything until you blog about it. Thanks for curating my intellectual need. Hehe, I can actually hear you laughing as you typed that Graham! While that was not my initial plan, I do have to tell you I had the same ten frame versus dot conversation with a teacher yesterday! I will definitely try that out and compare. 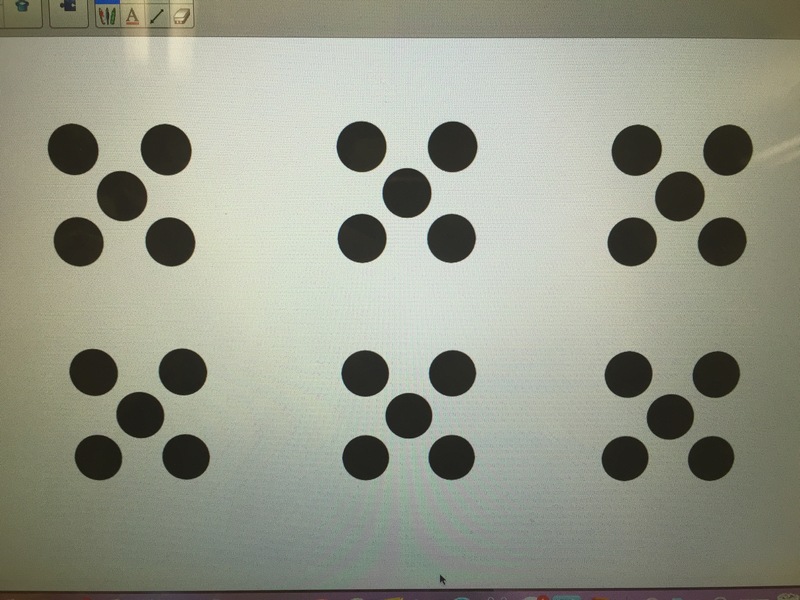 Did the dots today and it was really great for hearing how they count the dots and they could identify the difference and write the equation, however I don’t know if it got at the tens/ones thing that was happening yesterday. I have to blog when I have more time! This just completely resonated with me because we are seeing some similar work!